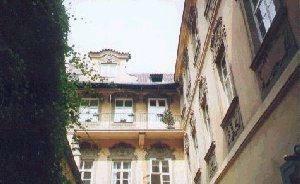 Another beautifully located hotel in the heart of the MALA STRANA, the B.W. KAMPA has recently been restored to 4* standards. This former 17th Century armoury has just over 80 rooms all equipped to 4* levels and elegantly furnished. There are some surprising touches to the decor and pride of place goes to the restaurant with its ‘armorial’ theme.